You know the saying “Fake it til you make it?” Yeah, I do that sometimes, and I know we all do. Up until recently that was all I was doing. I write advice from time to time but seldom take my own advice, and for the past few months, I haven’t felt like sharing what has really been going on in my life. I didn’t want pity. I didn’t want anyone to take what I was going through the wrong way and chastise me for having another child. I just didn’t want to deal with any bit of fall out from sharing. However, over the past few years, I have been very honest about a lot of what has been going on in my life. It has been my therapy, and I have found through writing that I am not alone, and that is what keeps me sharing (and sometimes over sharing). So here it goes. When I was pregnant, I kept making plans and then making back up plans for if something didn’t work out the way it was supposed to work. I was lucky that my husband was home for Sweet Pea’s birth. It was almost as if Sweet Pea knew and said, “Ok Mama, let’s do this!” I felt that with older kids, it wouldn’t matter that our families don’t live close by or that my husband is gone for weeks at a time. I have friends who offered to help, and I told myself that this time would be different, and I would most certainly take help. If you have been reading this blog for a while, you know I encourage mothers of newborns to take advantage of any offerings of help. However, after her birth, things fell apart really fast. I had postpartum depression with my older daughter. I haven’t really discussed it here because quite honestly, I have always felt such shame about it. 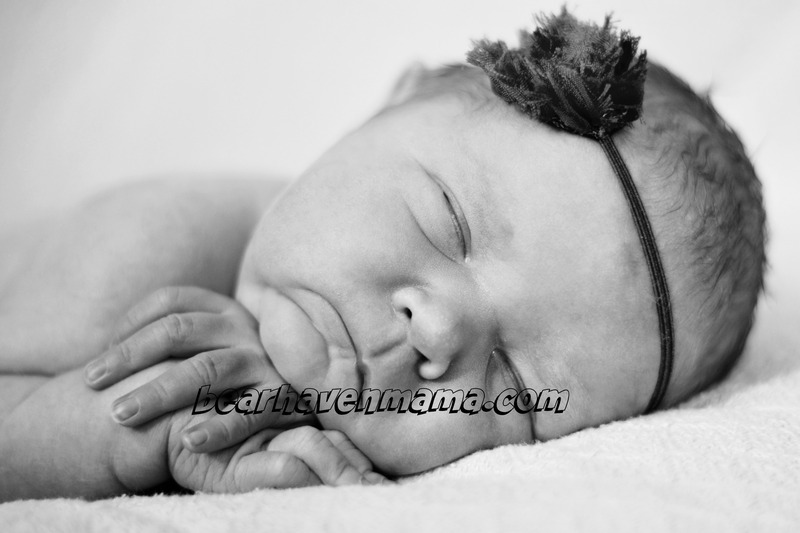 I have had some unresolved issues over miscarriages and everything that happened before having Sweet Pea. I probably should have gone to see a therapist and didn’t. I had hoped that once Sweet Pea was in my arms that all my apprehensions would just dissolve away. They didn’t. She wouldn’t latch. She dropped almost a pound in the first two days. I had to supplement her. She had jaundice. The doctor was not very eager to share information with me, and I felt that it was because I had a homebirth. We quickly switched practices. She wouldn’t SLEEP AT ALL. My husband got sent out-of-state soon after her birth. A perfect storm for disaster. The peacefulness of the sleeping newborn was not meant to last. Picture by Photos by Emilly. I felt awkward reaching out. I was afraid that even though people offered that I would be seen as weak or a failure. I started having all of these fears about the baby and the kids. I was afraid someone would get sick, and then the baby would get sick. I started pushing everyone away. I came up with excuses why we couldn’t go anywhere. I shut us all away in the house, and there was a part of me that knew it wasn’t good. However, I didn’t know what to do or how to fix it. I felt a little better after we went away in October, but then it all came creeping back once we came home. It wasn’t until my son spoke up that I knew I needed to do something. He said something about how I was going back to being a hermit, much like I did after I lost the first baby. It was true. I got the kids to their extracurriculars, and that was about it. Heck, my godchildren and their parents live two doors down, and I barely made an effort to see them, which is not like me because next to my own kids, I love my godchildren to the moon and back. I made an appointment to see a therapist. She was the same one who I worked with when I had PPD with my other daughter. It felt good to just talk. I still didn’t really feel like being around many people, but I didn’t feel as anxious. My husband got us all away from the house again. He did a lot with the older kids, and I spent a lot of time just bonding with the baby and enjoying her. Then he took the baby and let me get some one on one time with the older kids, something I haven’t been able to do. I felt the stress melting away. I came back feeling like a different person. I know I have more things to work through, but I am actually feeling more like my old self, probably more so than I have in some years. I even enjoyed Christmas this year, which is a feat in itself because I loathe the holidays. Sweet Pea even got her first cold over the holidays, and I haven’t panicked. I have just taken it in stride and used it as a way to get in some extra cuddle time. What I would like to tell anyone who has ever had PPD is that it’s not your fault. I mean, your body goes through an awful lot when you have a baby, and your hormones are all out of whack. Just be sure to be gentle with yourself and don’t be like me. Take people up on their offers to help and make sure you are getting the help you need. Also, realize you are not alone, and this will all pass. Just take care of yourself. I know this is a rather personal topic, but if any of you would like to share your experiences, please feel free to do so in the comments below. It happens to us all. Our bodies go through changes that we can not control. I did have 1 child and tried for over a yr to have her, and then over a yr. To have another. In my good fortune which I didn’t know at the time it was Gods way of saying not at this time or not at all. Either way I was not ready for that answer! That in itself is not a good answer when you really want what you want. I was in a very very depressed state of mind. No one can understand what you go through in your own head but you or someone in the same situation. It takes like situations to help you through it. Lesa lean on friends & family to help you through this! I am more than willing to be an ear. I know we have not spoke for years. But I am/will always be there for you!